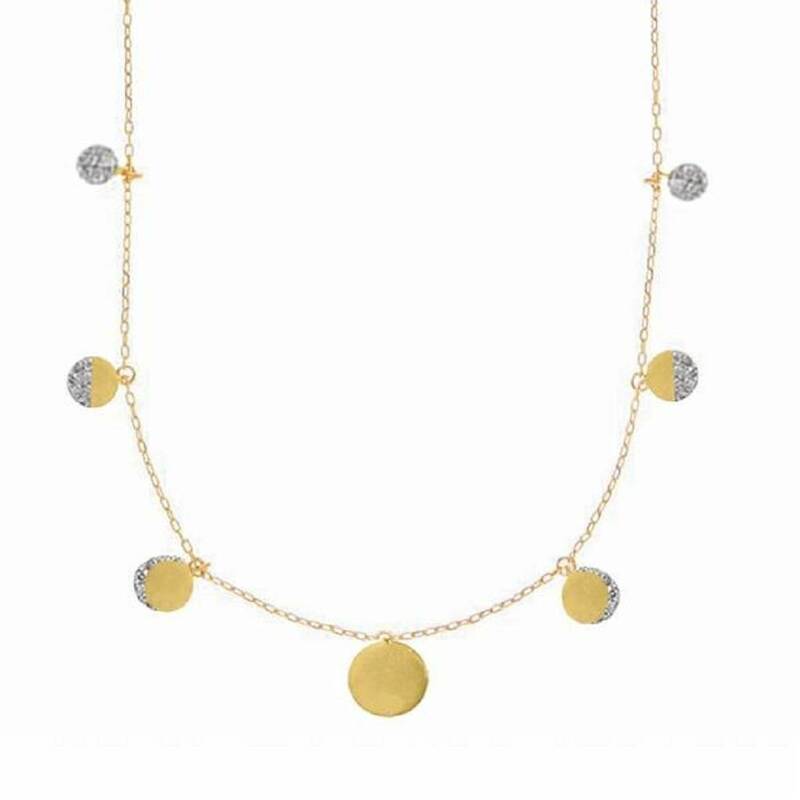 Our super pretty Moon Phases Necklace depicts the different phases of the lunar cycle as the Moon orbits the Earth! 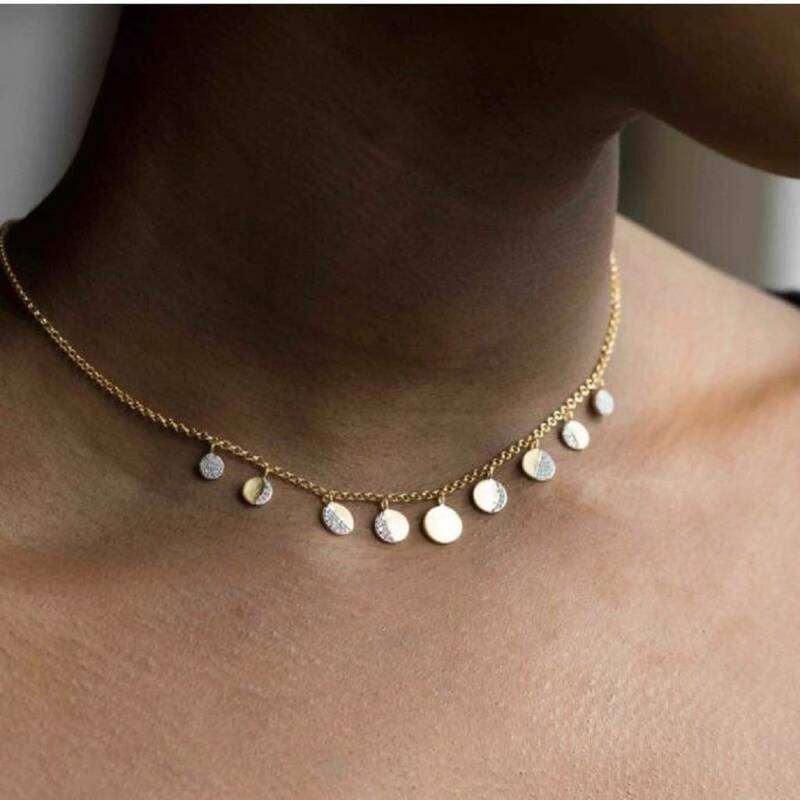 Featuring nine 14k Gold Vermeil discs of varying sizes, the phases of the Moon are represented by single cut white diamonds totalling 0.3 carats that sparkle and glisten in the light! The chain measures 16", with a 2" extender chain so you can adjust it to your desired length and layer with your other favourite pieces. 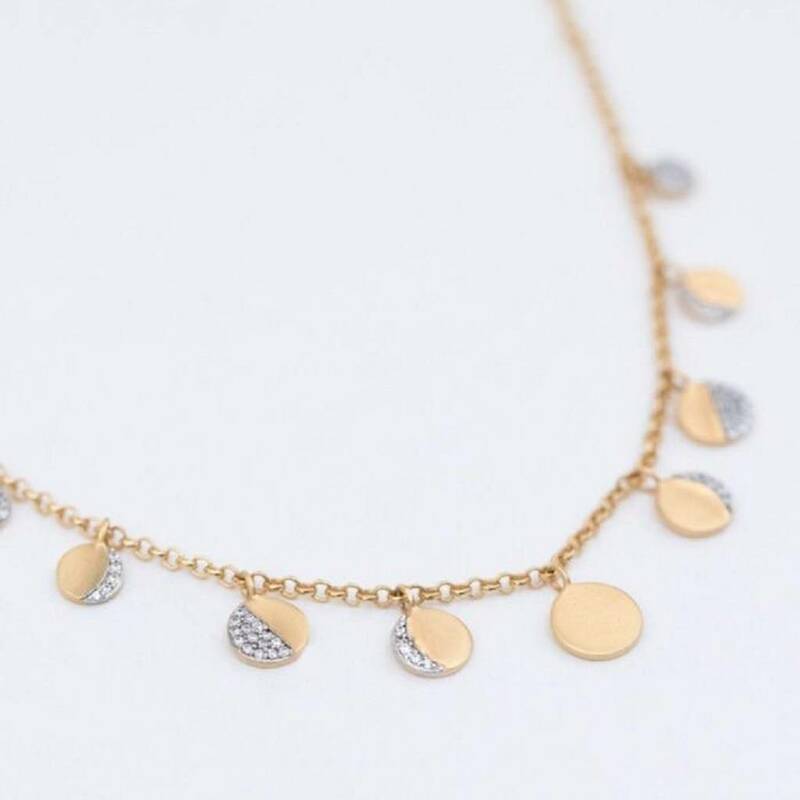 Dont miss the matching Ring Set!